The Pinnacle Point Group has selected SiMS as the property sales management platform for Lagos Keys, their high-profile leisure and residential development in Nigeria’s commercial hub. As one of Africa’s fastest growing economies the demand for exclusive residential property is soaring. 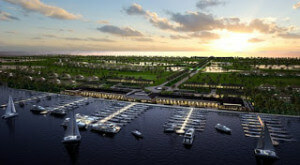 The Lagos Keys development is set on a tropical peninsula with six kilometres of water frontage and will include a private marina with moorings for 100 vessels.